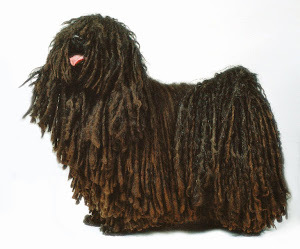 MopDog: W is for the Water Spider! 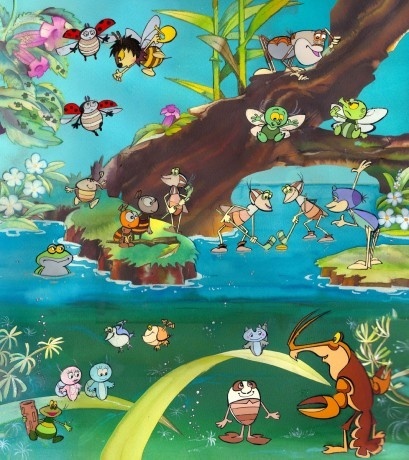 Vízipók-Csodapók (Water Spider - Wonder Spider) is a children's cartoon series that is single-handedly responsible for teaching generations of Hungarian kids about the miniature flora and fauna of sweet water ponds. The series (40 episodes) aired on TV first between 1976-1984. It was written by Dr. Kertész György, the head of the Biology Department of the ELTE teacher's college in Budapest. It is beautifully animated, and, according to legend anyway, he also wrote some of his colleagues into it (the adorable water snails, for example, are supposed to be PhD candidates). The story revolves around the Water Spider who lives in his crystal palace (a nest built of spider silk and air bubbles) under the water, and his friend the Garden Spider (Cross Spider) who lives above on a tree. They have a spider-silk phone line connecting them so they can call each other whenever something exciting happens (even though Garden Spider hates the water and doesn't understand why Water Spider has to live down there). Apart from the two friends the series also features many other miniature creatures such as water snails, the Ants, the Ladybug, the Backswimmer, the Caddisfly larvae, and dozens of others you have probably never heard about. It opens up a fascinating underwater and over-ground miniature world that teaches children (and adults) to appreciate tiny details and tiny life. It also has very deep other messages, such as "Just because a spider is not exactly like you" (says the Little Ant to the Garden Spider) "it can still be a very decent spider." Here is a link to episode one. Sadly, no English subtitles. I wish someone made a dub for this. Sounds like a great and fun forum to educate. I would enjoy watching this show now. 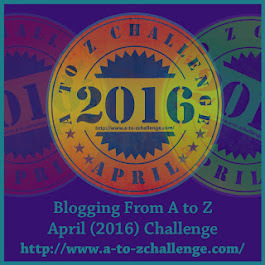 Dropped by for A-Z challenge. I believe this series was shown in Australia with english subtitles many years ago. I used to love watching it with my son, who is now 35. It was a very gentle show with the characters behaving kindly towards each other.